Although not interfering with the interim bail granted to Neeraj Singhal, Bhushan Steel’s former promoter, the Supreme Court on Tuesday stayed the other observations in the August 29 order of the Delhi High Court and transferred the matter to itself. Singhal was arrested by the SFIA for loan fraud for allegedly siphoning off Rs. 2,500 crore of public funds. 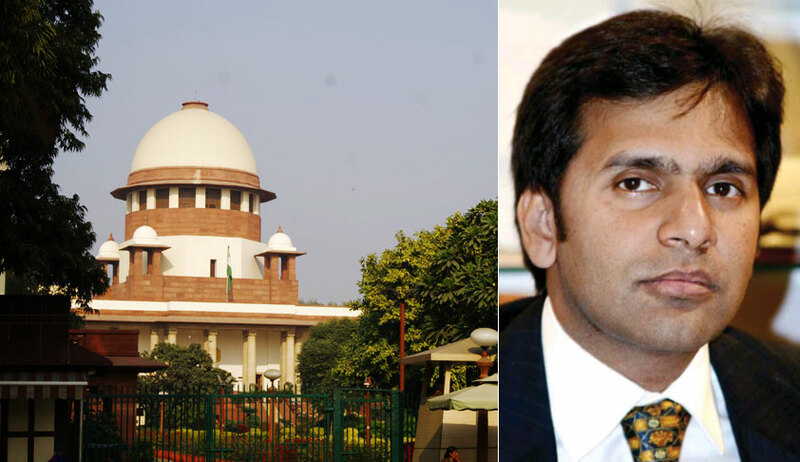 The bench of Justices D. Y. Chandrachud and A. M. Khanwilkar noted that the other findings in the impugned order could have far reaching effects not only on the case on hand but on other investigations and cases concerning offences punishable under the Companies Act, 2013. Before the High Court, the said bail provisions were challenged as being in the teeth of Articles 14 and 21, arguing that in context of the offence of fraud in section 447 of the Act of 2013, the grant of bail is made subject to a very high threshold of the arrested person having to prove that he is not guilty of the offence as a precondition to grant of regular bail. In granting interim relief, the High Court attached weight to the contention of the Petitioner that a similarly worded provision of the PMLA, i.e. Section 45, was struck down by the Supreme Court as unconstitutional in Nikesh Tarachand Shah v. Union of India (2018). Inasmuch as Section 447 has been made a cognizable offence, this power of arrest given under Section 212(8), which incidentally became effective from August 24, 2017, enabled the SFIO to arrest the Petitioner on August 8 on the ground that the probe agency had reason to believe that the Petitioner “has been guilty” of the offence punishable under Section 447. The second Prayer in the writ petition was that the High Court should direct that Section 212(8) is in the nature of “a presumptive definitive opinion/conclusion which is arbitrary and violative of Articles 14, 20, and 21 of the Constitution”. Further, it proceeded to observe that “the power vested in an Inspector of the SFIO to use the signed statement of an accused as evidence against him in terms of Section 271 (4) read with Section 217 (7) prima facie appears to violate the fundamental right against self incrimination enshrined in Article 20 (3) of the Constitution of India”. Accordingly, the High Court had directed that Singhal shall co-operate in the investigation but he shall not be compelled by the SFIO to sign his statement. In staying the impugned order, the apex court noted that the observations made by the High Court may have far reaching consequences and may deprive the Competent Authority from proceeding in accordance with the provisions of Companies Act in so far as the investigations and the filing of complaint/police report concerning the serious financial frauds or economic misdemeanour are concerned. The bench also remarked that in granting interim bail, in place of delving into the constitutionality of the provisions of the Companies Act, the High Court should have confined itself to section 439 of the Cr. P. C. which was not adverted to at all.